FEBRUARY 9--A Pennsylvania inmate had 78 doses of LSD, cocaine, methamphetamine, and a glass pipe stashed under her hair weave, contraband the woman apparently smuggled into the lockup following a prior arrest, according to court records. 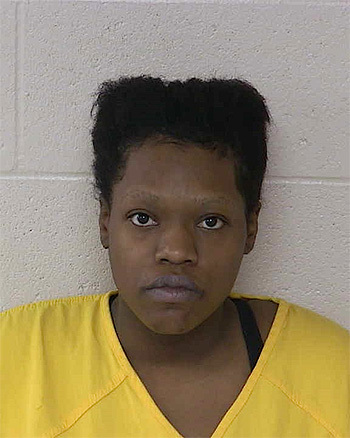 Carema Lashandra Brown, 29, was booked into the Jefferson County jail on January 5 after she was charged with two felony theft counts. 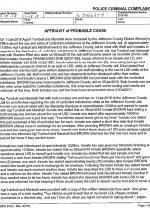 Unable to post $60,000 bail, Brown was detained at the jail in Brookville, a borough about 80 miles northeast of Pittsburgh. 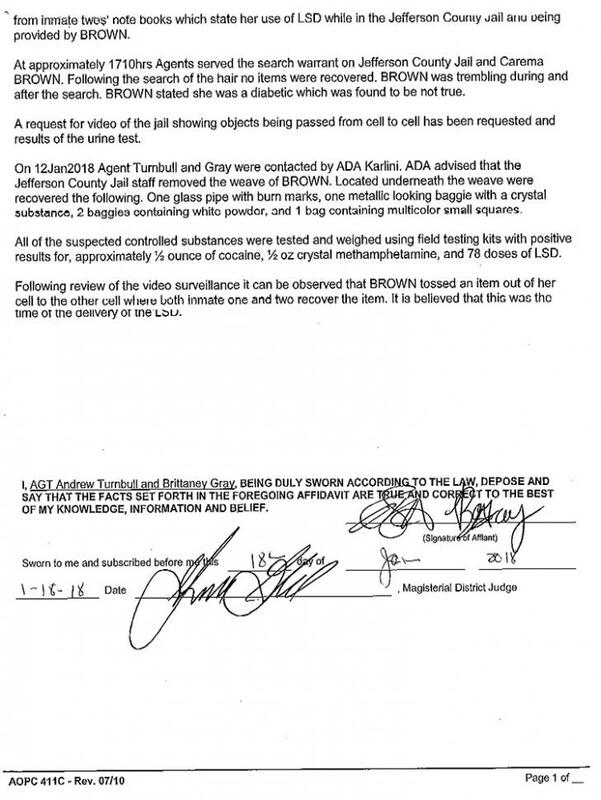 Within a week of Brown’s arrival, jail personnel began investigating the distribution of narcotics inside the facility. 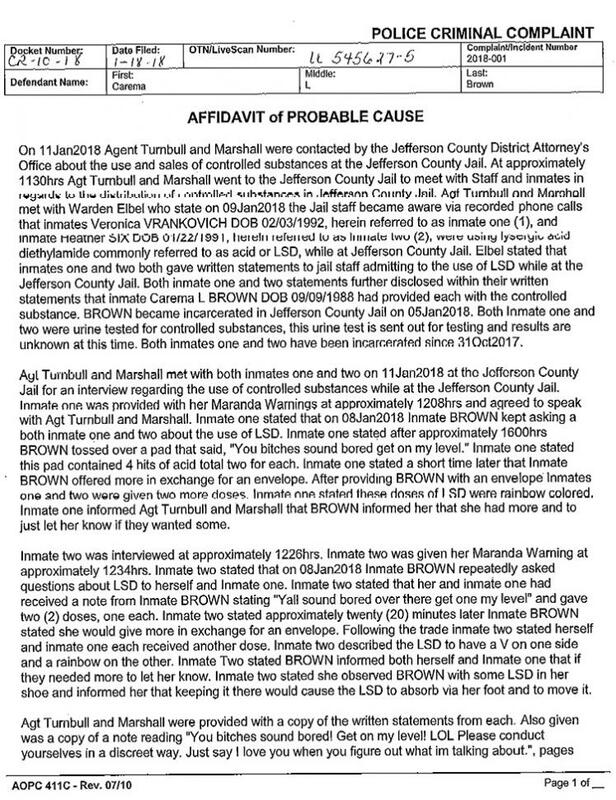 During questioning, two female inmates--whose recorded phone calls indicated they had been using LSD--confessed that they obtained the acid from Brown. 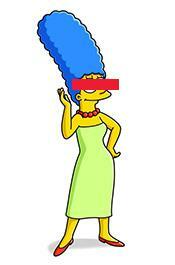 Armed with a warrant, investigators subsequently searched Brown, who was “trembling” as agents perused her hair. 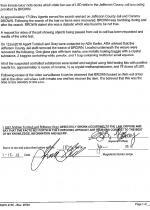 However, “Following the search of the hair no items were recovered,” a probable cause affidavit reports. However, the following day jail staffers removed Brown’s weave and discovered that she had narcotics hidden under her fake hair. A criminal complaint notes that investigators seized eight ounces of cocaine, eight ounces of meth, 78 doses of acid, and a glass pipe with burn marks.